Cody’s Appliance Repair has successfully serviced Gaggenau appliances for over 23 years. We are proficient with the full range of Gaggenau products, including all cooking and refrigeration models. Our Gaggenau repair service includes expert diagnosis, repair, and customer support. Contact our Gaggenau experts today at 208-938-1066 or schedule service online. Gaggenau was founded in 1681 by Margrave Ludwig Wilhelm von Baden. He established an ironworks in the German town Gaggenau, and named the company after the town. It is both the oldest and widest distributed appliance brand. Although technology has moved on considerably since the 17th century, Gaggenau has embraced the changes and has been credited for introducing European convection ovens, the pyrolytic self-cleaning mode, and 36-inch ovens in North America. Gaggenau’s world headquarters is still located in the city of Gaggenau, Germany, to maintain some of the tradition and history of the company. But Gaggenau kitchen appliances are manufactured in several countries across Europe and North America. In the United States, Gaggenau is manufactured by the Bosch Corporation. 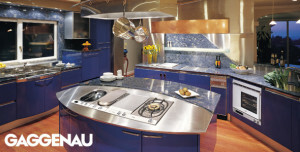 This brand is a gourmet chef’s dream, specializing in cutting-edge built-in home appliances. Its portfolio includes ovens, gas, electric and induction cooktops, ventilation, dishwashers, modular refrigeration and freezer columns, and wine storage units. We provide expert service for any Gaggenau repair. If you need Gaggenau Repair in Boise, Eagle, Meridian, Nampa, Caldwell, Star, Middleton, Emmett, Kuna, Garden City, or Horse Shoe Bend, call us today at (208) 938-1066, or request service right from our website. We are here to help!